I am excited to bring you a series that I have started called “The Art of Murder” where I will be bringing you interviews with the artists of some of my favorite covers in the Cozy Mystery world as well as the authors whose words sit within. 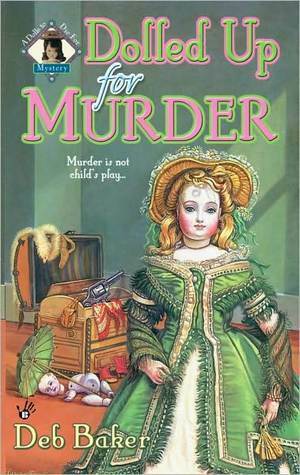 When I first started reading cozy mysteries, I didn’t realize just how many there would be to choose from and how diverse the cover art would be. Being a trained photographer, I am a very visual person so I natural am drawn to the covers. I have spent hours in book stores looking at the details of the covers of some pretty amazing artwork by painters, photographers and digital artists. Time after time, I would choose books based on covers and read them. There was one series,though, that kept catching my eye that I would pick up but never purchased. I don’t know why, but I liked the art so much I was afraid to read it and mess up the covers. Weird to some, but that was what I was thinking as I live in a house of messing kids. 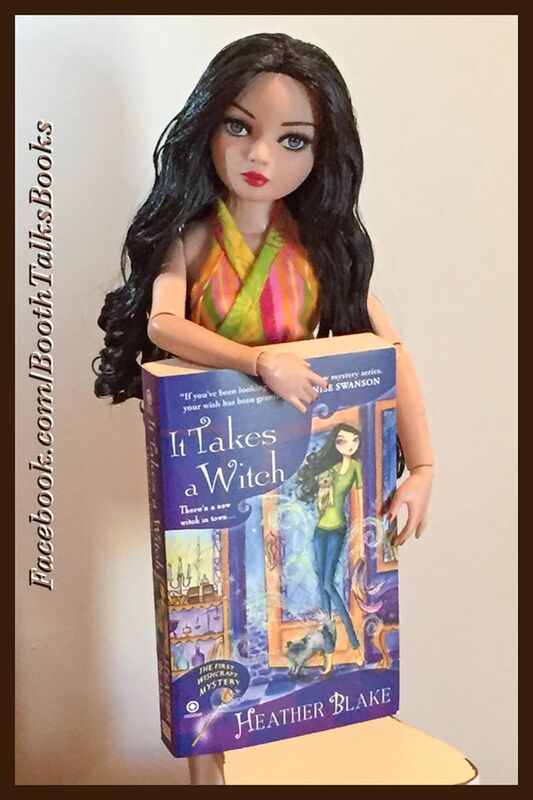 It took me a month of passing by Heather Blake’s books and seeing her on Facebook along with the amazing artwork that went with her books until I finally gave up and bought the bright yellow cover of, “Some Like It Witchy” that she had just released. I am a sucker for yellow. Honestly, it draws me in and this one just begged to come home with me. I promised myself I would be gentle and not let the smallest of my messy crew touch the pretty, sparkly cover of girly splendor. But wait…who drew this? Who’s art was it that had me so captivated to the point of making me want to put it in a glass case so my three year old wouldn’t get her sticky, oatmeal caked hands on it if she too by chance thought the sparkles were too enticing not to touch? So, I looked inside the cover. Bella Pilar. Hmm…that sounded familiar. I looked her up and realized I had seen her girlie-goodness on a bunch of items I had been looking at over the years. I was hooked. Now I could really order a print for my wall. Score! Seeing how artists don’t usually get a whole lot of recognition for what they do, I thought it would be great to put names to those covers. I can’t recall the number of covers or photos I shot that never had my name associated with them. Most people don’t even give it a second thought. Most of the time it’s, “Oooo, pretty!” Then, they move on. I decided to do an interview with the lucky author who has these snazzy, sparkly covers as well as the queen of sparkle herself. Enjoy! It is really neat seeing how each side works together to make a book happen. And…sorry if you get glitter on you. HAHA, no I’m not. 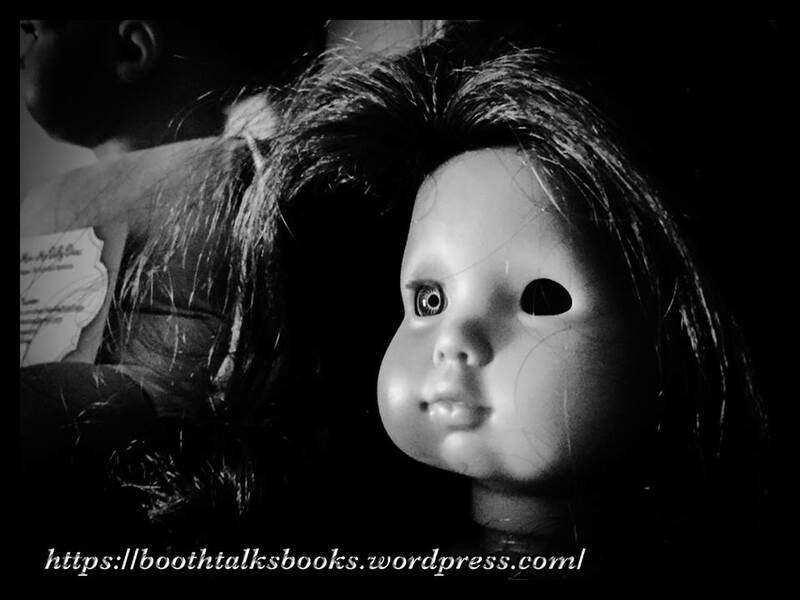 Booth Talks Books: How did you come to working with each other? Bella Pilar: The publishing company reached out to me about creating the art for this series. From the very start of hearing what Heather’s new series was going to be about, I just knew it was a great fit and that I would enjoy working on each and every one. Heather Blake: It was set up completely through the publisher. I am a big fan and now look for her art whenever I’m out shopping. I love seeing all the cards she does for Papyrus, and I’ve bought several of her puzzles through Barnes & Noble as giveaways throughout the years. 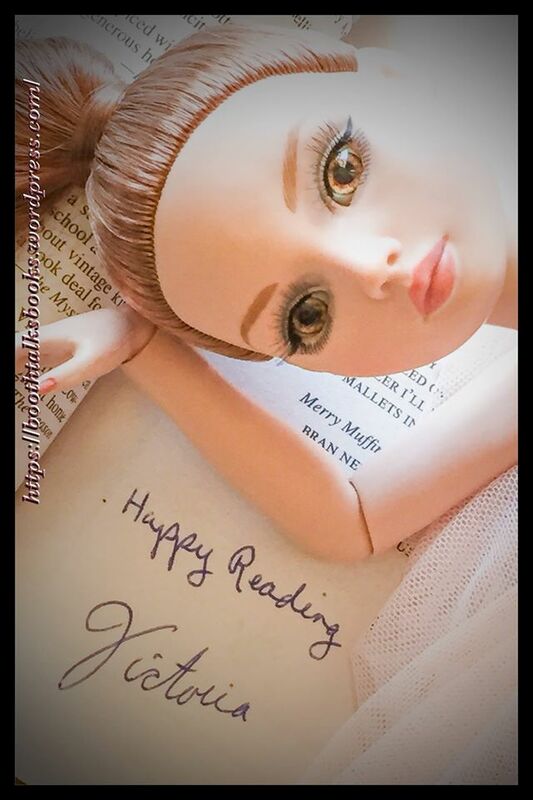 I have so much fun browsing her website to see all the cool projects she’s working on. BTB: Do you all work together on the cover art like the colors, style and such? BP: The publisher works on the art direction, the general look they want, on their end. Then the art director passes these notes along to me, and then I pencil sketch cover ideas based on all of their notes and direction. Once they decide on the final sketch they think works best, I paint! 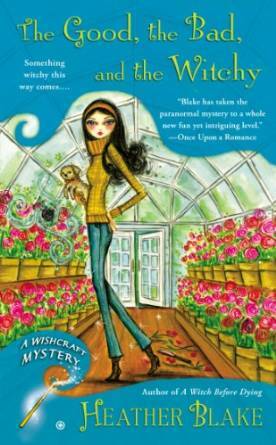 HB: ​ Bella and I have never communicated one-on-one about the covers–all my ideas are sent to her via the publisher. ​My editor will ask for cover suggestions from me, then those suggestions go to marketing. Marketing decides which cover option works best, then that idea is sent to Bella to work her magic. Once her first sketch is done, it’s sent to me (through my editor), and I either accept it as is or ask for tweaks. BTB: Heather, do you think she represents your characters well on the covers? ​HB: Bella’s colorful artwork completely captures the magic of my stories, not only of the plots but also the characters. BP:I can’t say, as I love them all! And I hope all of the readers do as well. HB: I truly love them all. BTB: Bella, do you do the art only or also the type over the artwork? BP:I do the art only, I do not work on type. The designers over there do the type layout on top of the art I give them. I just keep in mind, as I paint, where the type will most likely fall, so that I give them the open space they need in my art to add in the type. BTB: Thanks Bella and Heather. It has been amazing talking to you both. I love your artwork and your books. I hope you get to keep working together because it is an amazing partnership. The books and covers together are amazing. BP: Working on these covers are so fun for me- I hope this series goes on forever so I can keep painting more covers for her! 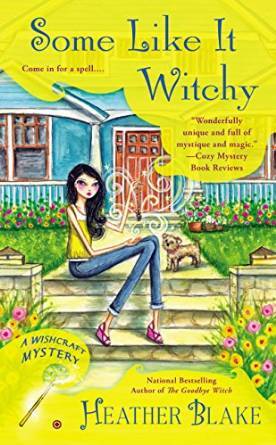 The wedding of June Heal and Oscar Park, a witch and wizard belonging to two opposite sides of the magical spectrum are set to be married and their aunts are at war with their decision. Although the Good-Siders and Dark-Siders live harmoniously in the same town of Whispering Falls, Kentucky, the two sides are to never marry. As the town prepares for the All Hallows Eve celebration and June and Oscar prepare for their wedding, strange things start to happen not only to the people around them, but a secret is discovered. 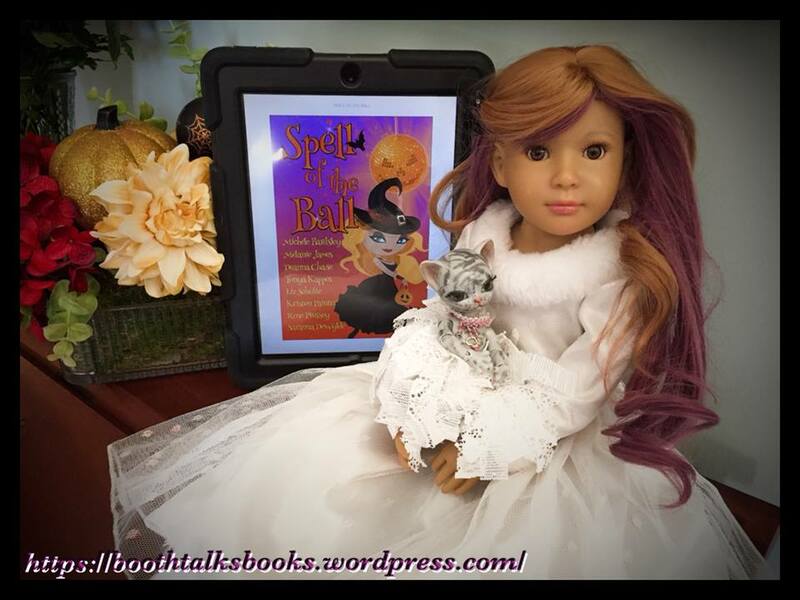 What could a friend talking to herself, a strange yellow ball that follows June’s familiar; Prince Charming, a missing ostrich, a ghost charm and a poising at the wedding mean for the future of the Heal and Park families? I loved getting to know June and her friends. The shops were charming and I really got wrapped up in the surroundings in the short amount chapters there were. The only thing that I would have liked to see different is the aunt’s resolution. It was too quick after all the drawn out drama over the ceremony plans. I would like to have seen a document, spell or something to help them be okay with the decision that was made. I would have thought the parent’s blessing would have been thought of earlier than at the last minute. The names of the characters throughout the book are so witty! I love June and Oscar’s friends and want to know more about everyone’s background. Their jobs are fascinating and I love how they “fit in” to normal society. Brilliant. I want to literally explore this town because it sounds like an amazing place that would be a perfect get away. 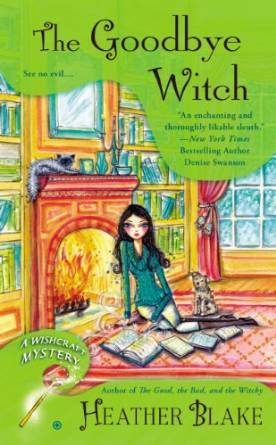 If you love magical stories with a ton of detail you can see, smell and taste, A Charming Death is a great read. Now, time for me to take a trip and find Whispering Falls. I need to go visit The Gathering Grove Tea Shop for cuppa and read the rest of the “Magical Cures” series! 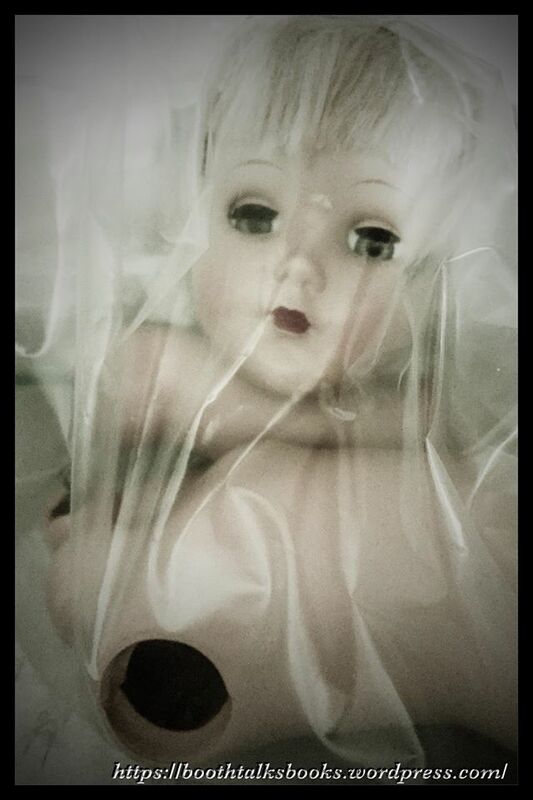 So, if you have looked at my photos, you will note that I love dolls. Yes, I am a collector of several variety of dolls and collect them with my daughter. Not only do we collect them, but we repair dolls for kids in need over at our smallmother/daughter venture, “The Broken Doll.” We are not a house scared of dolls as we are used to dolls in various states of “undoing.” We see the beauty in them where most people see something a bit more sinister. Well, like I said, we don’t have that in this house because we have dolls in all states of corrosion, and mishap. 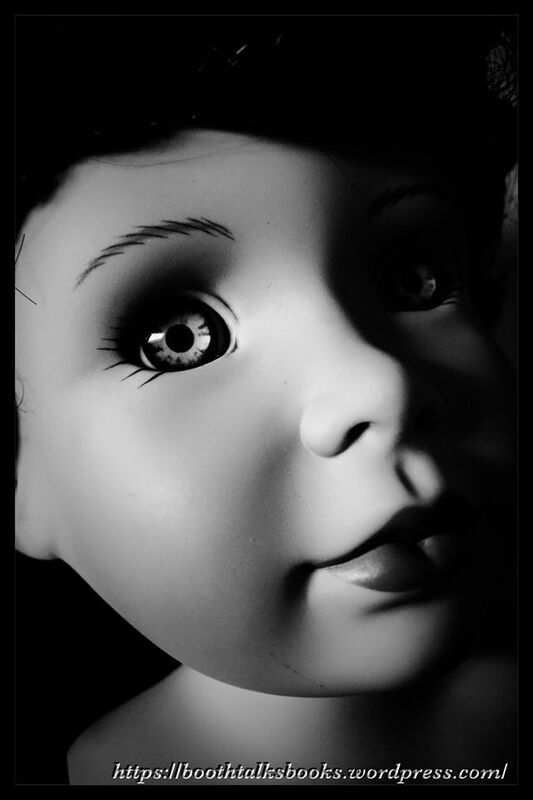 I used to play with my dad’s very mutilated doll that he bit the face off from at age three. It was my favorite doll ever. I wish I still had it and have no clue where it went off too. I do truly miss that faceless baby though. A bunch of fun posting on Facebook by Lisa Kelley sparked my need for this blog post. 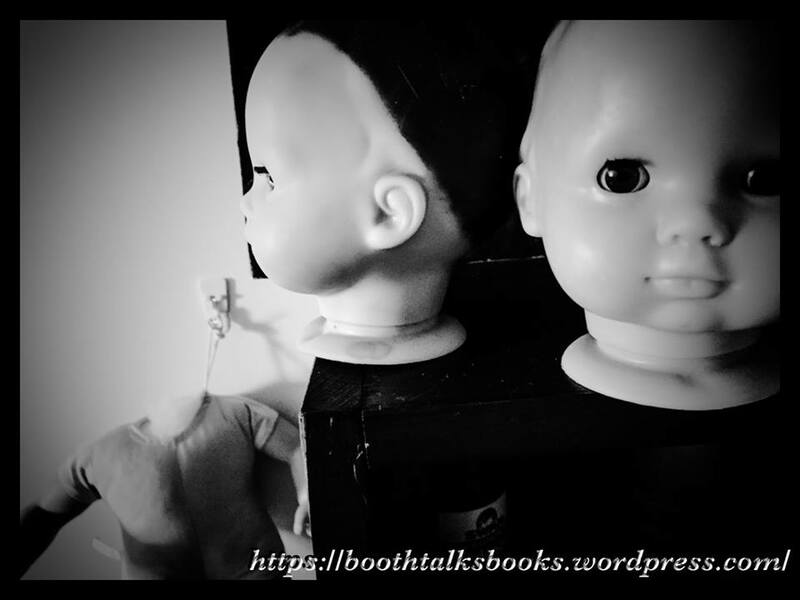 I just HAD to take photos of our dolls and then go find some doll related books for you all to read since Halloween is upon us. If you find anymore, let me know. 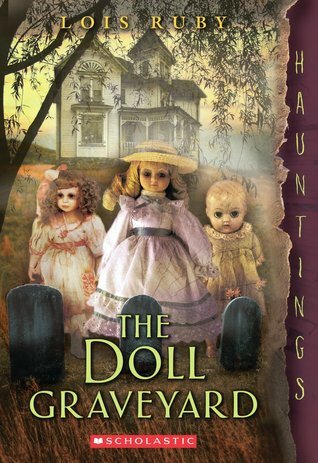 If you want a full list of “Haunted Dolls”, here is a link on Goodreads. 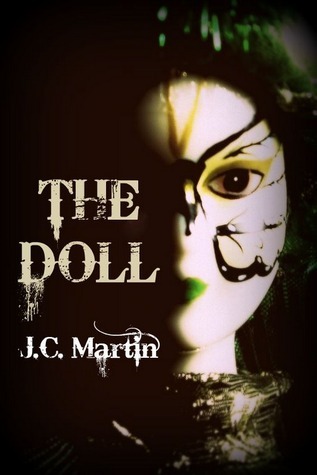 Just click the Dollie Pic…she won’t bite…..
Have a fantastic October and let me know about these books. I have several of them on my “To READ” list and own a few to read this month. Dolls are always a cause for excitement around here! 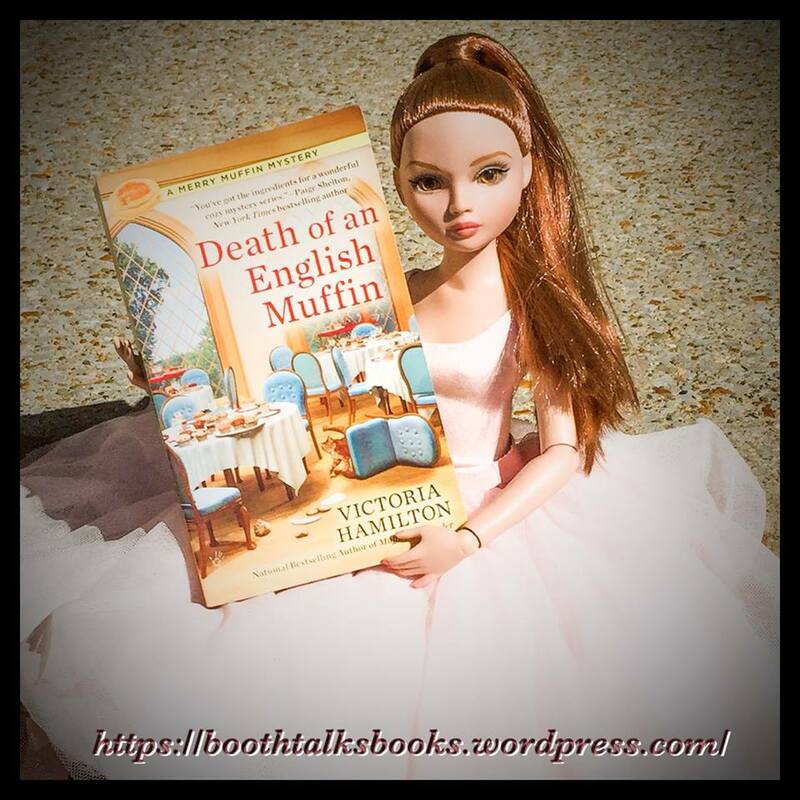 Victoria Hamilton’s “Death of an English Muffin” is the third in her Merry Muffin Mysteries. Merry Wynter plays host to a group of ladies she refers to The Legion of Horrible Ladies. When one of them ends up dead, Merry is left wondering if one of her aged guests could possibly have it in them to kill one of their own. So what if she, Cleta Sanson, had been the most horrible of them all? As more secrets are exposed about the people in and around their little group as well as the town’s people, the killer is discovered. Pay attention because it is a shocker. There were a lot of characters in this book to keep up with. You might want to take notes to keep them straight. I felt like I was in a crowded bed and breakfast among the confusion right with Merry. With everyone running around, disappearing and so much to get done, I ran out of breath myself. Victoria nailed the B&B experience in an old castle in a small town. I loved the details used to describe the meals, teas and the rooms. I especially loved the well-developed characters of the “Legion” ladies. I feel like I know these women. I am pretty sure they were best friends with my late Granny! I like how Merry’s character becomes stronger as her difficulties start to mound. First with the intrusion of the “Legion”, dealing with the family in town she was at bitter odds with and of course, her wanna-be love-interest. Through dealing with all of the problems plaguing her and the “Wynter Curse”, she finds her strength, voice and is able to learn how to take a stand not only for herself but also those around her that she cares for. She also helps those who are weaker around her grow in strength and character. She is such a beautiful example of a human being. If I took away anything from this book, it is to never underestimate people, no matter their age, disability or upbringing. An outward appearance can be very deceiving. I love that Victoria explored this so deeply in “Death of an English Muffin.” It is something that many writers don’t explore. These older ladies reminded me of my feisty Granny Hagan. She was a force to be reckoned with. I would not have challenged that eighty-year-old lady for anything! Never mess with a group of old friends and never think that just because they have grown older that they aren’t capable of great (or awful) things. You are never too old for murder. Kudos Victoria! As far as the question of must you have read the other two books prior to understanding this story, the answer would be no. But it couldn’t hurt to get the other two. 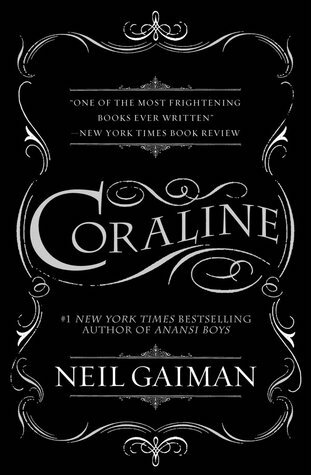 I do plan to read the other two so I can understand the references to the notes mentioned as well as wanting to know how Merry came to inherit the castle and her run-ins with a certain trouble-making family. This book can for sure be a stand-alone read.